Excited this August to attend the History Con 2018 where Katheryn Winnick of HISTORY’s Emmy-winning series, Vikings Makes Her First Special Appearance In Asia At History Con 2018. The actress has racked up several nominations, including one for Best Supporting Actress in a Drama Series from the Critics’ Choice Awards and another for Best Performance by an Actress in a Continuing Leading Dramatic Role from the Canadian Screen Awards. Get up close and personal with your favorite celebrities from HISTORY’s acclaimed TV programs. 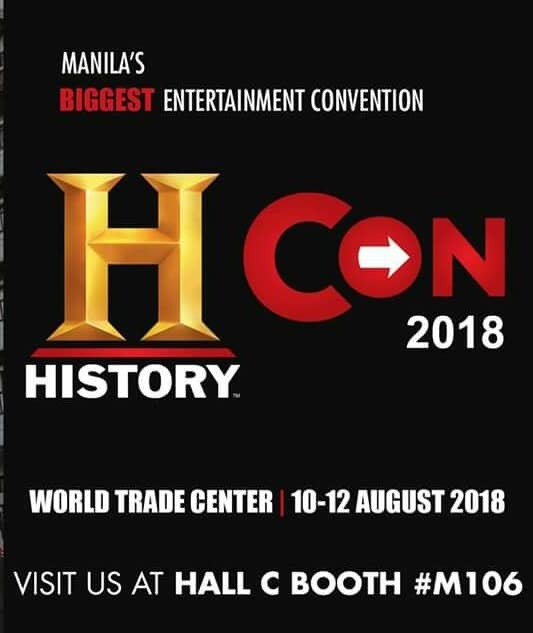 And get ready for an exciting lineup of stars at the upcoming HISTORY CON, the country’s entertainment convention happening August 10-12 at the World Trade Center in Pasay City. 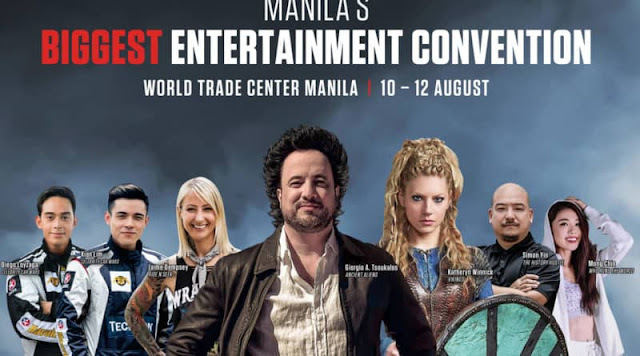 Giorgio Tsoukalos, more commonly known as “that guy from the ‘aliens’ meme,” is coming back to Manila and appearing at the HISTORY CON 2018 for an exclusive live session called “Mysteries of the Past with Giorgio A. Tsoukalos.” The session will be similar to the History Channel show Ancient Aliens (the very show that birthed the now-immortal meme), which explores the possibility of extra-terrestrial astronauts being part of ancient human history. HISTORY fans are invited to explore the unexplained with Giorgio A. Tsoukalos and examine some of the world’s greatest mysteries about extra-terrestrial existence throughout history. This special talk will bring together truth-seekers and HISTORY fans on the discussion, debate and exploration up-close with the leading expert himself. But due to either limited slots or aliens (of course), only those who avail of the HISTORY Maker VIP Pass or the HISTORY Maker Pass can request to attend Giorgio’s session. Catch also the other international celebrities from your favorite shows like Jamie Dempsey of Ride N’Seek, Mongchin Yeoh of Who Runs the World, and Simon Yin of HISTORY Hustle and Hidden Cities Extreme. The stellar line-up will also include Xian Lim and Diego Loyzaga starring in HISTORY Asia’s award-winning original automotive reality series, Celebrity Car Wars. HISTORY CON 2018 early-bird ticket purchasers of the HISTORY Maker Pass (PHP 2,500) or HISTORY Maker VIP Pass (PHP 10,000) before July 31,2018 at SM Tickets.